Not much to post today. 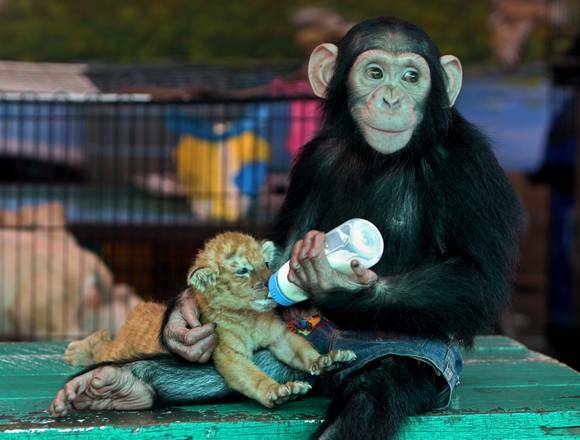 So here’s an image of a happy monkey giving a baby tiger some milk to drink! You now have permission to say “aw”. 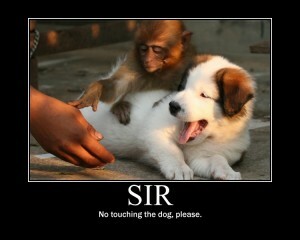 I saw this picture and thought it was funny. Why do you think I posted it? Jeese! To counteract DarkKnightH20’s post from a religious website about a Polar Bear and a Husky playing with each other, I have posted this image. 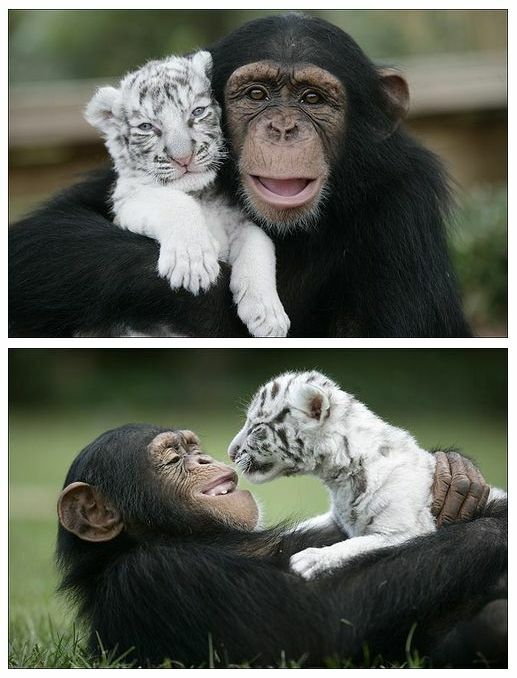 This is a Tiger and a Monkey playing with each other. Now say awww and carry on.